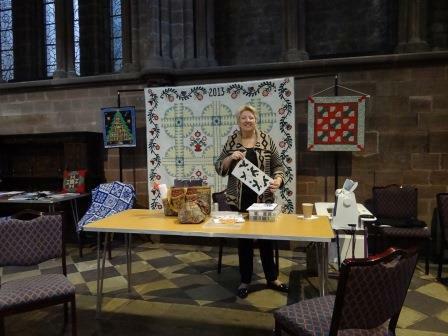 Once again Chester Cathedral had kindly asked us to demonstrate various aspects of patchwork and quilting in the Chapter House. 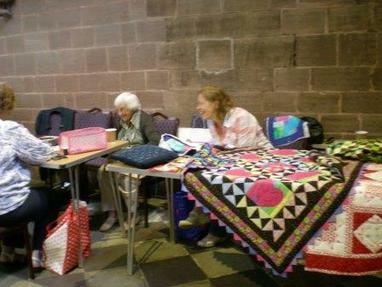 With machine stitching, hand stitching, folded work, embroidery and even some patchwork knitting, there was something for everyone. 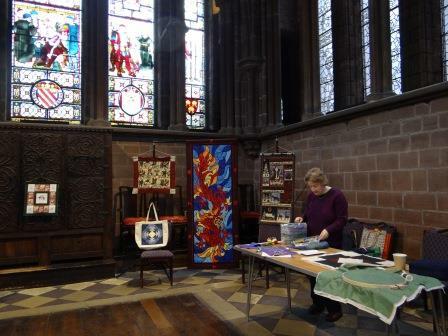 We had a steady stream of visitors through the day and enjoyed many interesting conversations with people from both the local area and other countries. 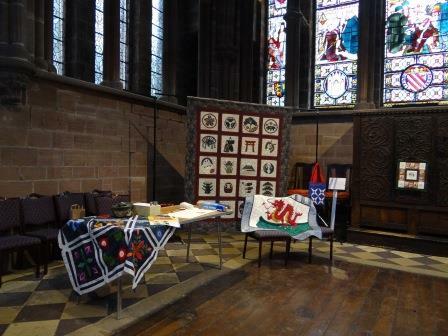 Today we were in the Chapter House in Chester Cathedral demonstrating various aspects of patchwork and quilting with a small display of some of our work. 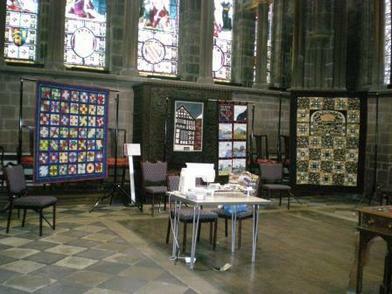 Jacky and Sue worked at their sewing machines while the rest of us busied ourselves with hand sewing. 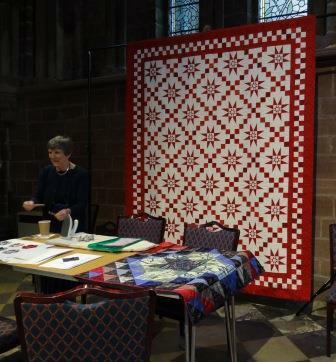 We enjoyed a steady stream of visitors through the day with a number of people asking questions about how quilts are designed and constructed. 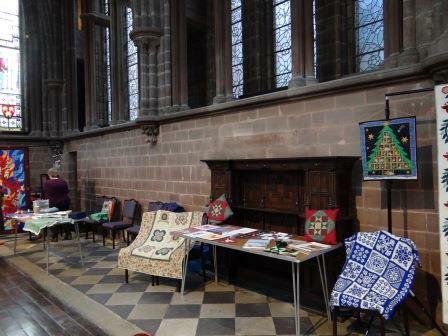 We also enjoyed a number of complimentary remarks about our work!